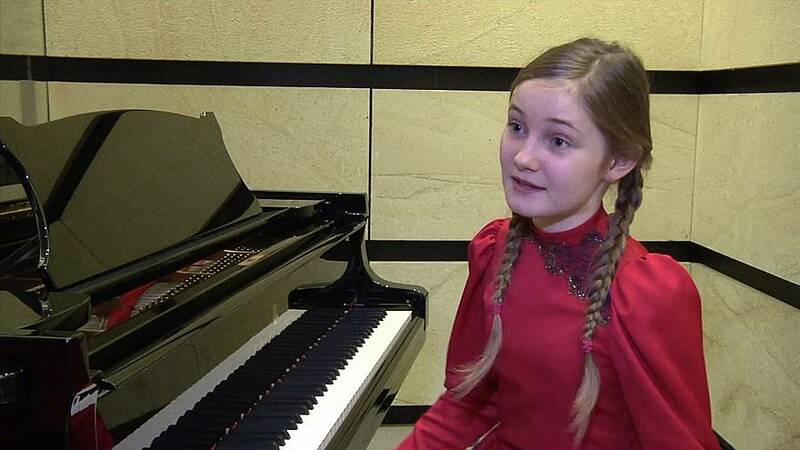 She is only 11 but already words like “genius” are being used to describe the musical talents of London schoolgirl Alma Deutscher, who has just wowed the crowd in Vienna with the world-premiere of her self-penned opera “Cinderella”. She played violin and piano during the performance and was rewarded with a standing ovation. It is not her first composition as she has been writing since age six, and is already a veteran of public performances. “I’m hearing my melodies when I’m relaxing. I sometimes hear them when I don’t want them, when I’m trying to concentrate or when I’m talking to someone. And then I just get these melodies when I’m in an improvising mood I call it, and then I just write them down before I forget it and melodies just pour out of my fingertips,” she says. Alma says she gets her inspiration while she is skipping. Her father says the drive to make music is all hers. “All these horror stories about children who are pushed too hard and get burnout, with Alma it’s usually the opposite. What we have to do is hold her back. We try at home to counter the effect and say ‘no, you don’t have to be like Mozart, it’s enough that you write your own music and are happy,’” says Guy Deutscher. “There was only one Mozart and I would prefer to be first Alma than to be another Mozart,” is Alma’s response, but the comparison is being made, and often. For now it seems the world of classical music is at her feet and Alma, who seems brimming with confidence and self-awareness, seems destined for glory with the right management.